A Medicaid trust can help you qualify for Medicaid while preserving your estate. But they’re complicated, and you need to know the kinds of trusts available, and how they work. Medicaid trusts fall into the general categories of revocable and irrevocable trusts. Most elder lawyers are partial to irrevocable trusts because they can’t be changed after they’ve been created. They’re drafted so that income is payable to you — the creator — to use for your living expenses for your life. The principal is inherited by your heirs — it’s protected. Any income — pensions or Social Security, for example — goes to the nursing home. A revocable trust can be changed or rescinded by the person who created it. What’s more, the funds that make up the trust are countable assets in determining Medicaid eligibility and therefore of no use in Medicaid planning. There’s a five-year look-back period after which trust assets are exempt from being applied toward long-term care. You cannot have recently transferred assets so that you move into a nursing home on Monday, give all your money to your children Tuesday and qualify for Medicaid on Wednesday. 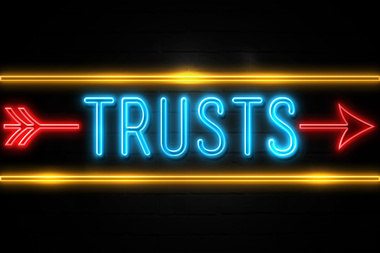 Medicaid Asset Protection Trust: This is used by many elder lawyers to preserve clients’ assets while still letting them qualify for Medicaid benefits. With a MAPT, the creator can’t access the trust’s principal — it’s safeguarded from prying Medicaid agencies. Income from the trust’s assets is distributed to the creator or spouse and counted as a resource by Medicaid when determining eligibility. The creator maintains a certain measure of power by retaining the authority to change trustees — who are usually the children of the client — at any time. Income-only trusts: Seniors transfer assets to a trust rather than to their children. This is seen as protecting their money, because neither the creator nor the spouse has access to the principal. The trust can permit trustees to make distributions to third parties — often their children. Testamentary trusts: If a spouse’s will leaves everything to a wife or husband, all assets could potentially be exposed to Medicaid, but a testamentary trust is not considered in determining eligibility for Medicaid. Assets are redistributed to take advantage of the trust’s protection and can be used to pay for anything the surviving spouse requires, including passing assets to the couple’s children without recourse by Medicaid. Supplemental needs trusts enable a person with a disability to maintain eligibility for Medicaid benefits. The purpose of the trust is to enhance the quality of life for a disabled person. The beneficiary of the trust is expected to receive Medicaid benefits at some point in the future. Funds in these trusts aren’t considered as belonging to the beneficiary in determining his or her Medicaid eligibility. Trusts are useful but complicated instruments that can help you with long-term money management issues. Give us a call and we’ll help you decide whether a trust is right for you, and how we can work together to set one up.